THIS IS WHAT YOU’RE FUNDING!! 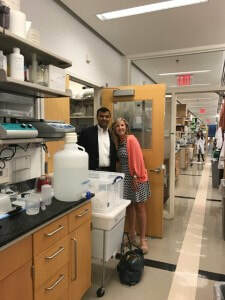 As promised, when I started this foundation, my goal is to keep our donors as well informed as possible so you can feel completely connected to the research and know EXACTLY where your hard earned dollars – that you have so generously donated – are going!I have been busy traveling around to visit our wonderful doctors and their labs to learn about the amazing work they have been doing since we started funding them last year. 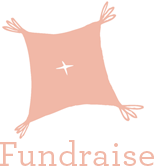 One of the many things that makes The Cancer Couch Foundation different is that we have cultivated such strong personal relationships with the carefully chosen researchers, labs, development teams, and institutions we fund. Trust and good communication are core values we hold strongly and these personal visits help strengthen and foster these vital relationships. Just as one cancer cell alone can’t kill us, one person alone can’t cure cancer. 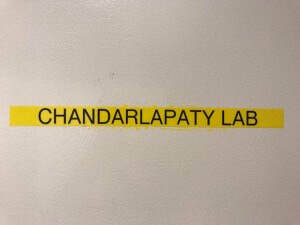 In less than one year since we have funded his lab, Dr. Chandarlapaty and his team of researchers have found a discovery that will enable them to write a paper and seek long-term funding from the government to fund research on next generation therapies for ER+ MBC. That is the whole idea behind why we fund the way we do. 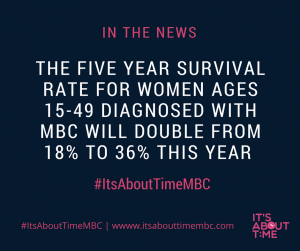 We are supporting the best and the brightest in this basic science so they can get results for work that would not otherwise receive funding and help them get to the next level where federal funding and big pharmaceutical funding will help them get their work turned into a medication on the market – or new insurance approved blood tests that can have vital clinical implications for MBC patients! Their work compliments what Dr. Wagle and his team are researching at Dana-Farber, but they are looking at it from a different angle (as there are almost endless angles to metastatic cancer!). Specifically, this team is looking at patients with MBC whose cancers don’t respond as well to the now fairly common (for ER+ Her2- MBC) treatment combination of hormone therapy and Palbociclib. They are trying to find commonalities amongst those who stop responding to the drug before the median timeframe of two years so that this can lead to more effective treatments. Well, by looking not just at biopsies of metastatic lesions – but also at their plasma (simple blood samples) they actually found a rare mutation many of these patients had that seems to be responsible for outsmarting this treatment combo and leading to progression of the disease. See, the way estrogen causes cancer is to tell this guardian of cell division, known as Rb, to step aside and allow the cancer cell to grow and divide – so these drugs inhibit that process….the drugs restore the guardian’s function. However, they found an unexpected pathway when they looked at samples in the petri dish and through both tumor biopsies and blood samples showing that in patients with two particular gene mutations – the guardian, Rb, was again deactivated despite the ongoing presence of the drugs. This now paves the way for the development of new drugs to overcome these mutations. What they found – is like finding a needle in a haystack – but because we gave them $125,000 in 2016, which was then matched to put $250,000 directly to this lab – that covered the cost of a fellow, some of Sarat’s salary, and the equipment and supplies need to conduct this study. WE DID THAT! YOU DID THAT!! Every kid that ate ice cream for us, every ticket you bought to The Cancer Beat or a PINK GAME – every donation you sent in. Every single dollar was matched and led to this. THIS IS HUGE! This is literally going to save the lives of countless people in years to come – us – our kids, their kids, etc. Thank you thank you thank you from the bottom of my heart to every single person who supports TCCF and what we do in any way big or small. It’s all BIG actually. Thank you to these elite research teams who are dedicating their lives to helping us find a cure and extend lives. WE ARE MAKING THIS HAPPEN TOGETHER! WE ARE MOVING THE NEEDLE FOR MBC AND ALL CANCERS !